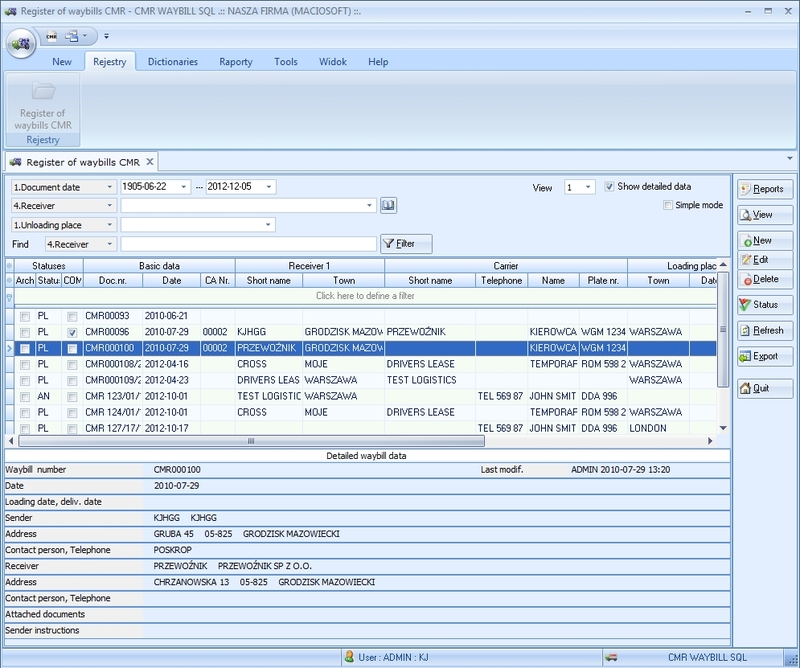 CMR Waybill offers all facilities of Mini version and many more. You can work in LAN or WAN network environment. 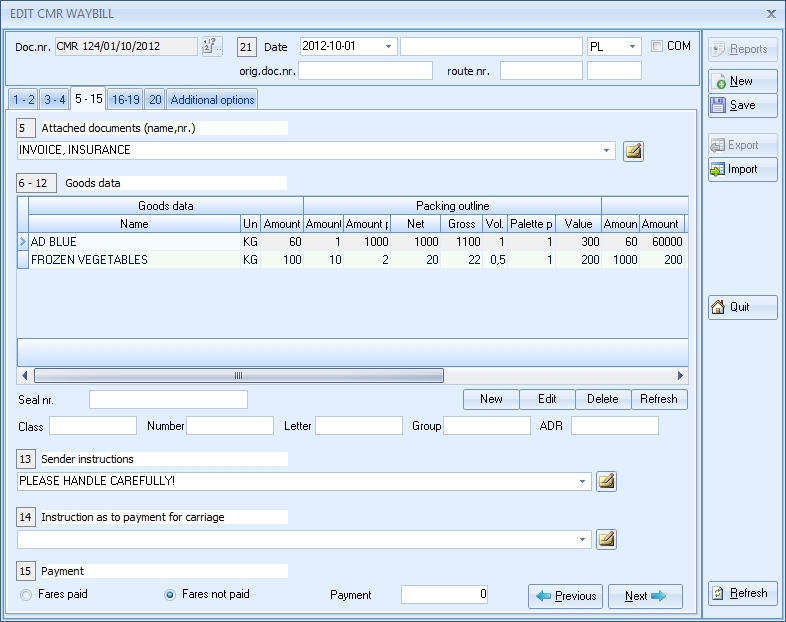 One common MS SQL database prevents redundant data entering and multiple data definitions. 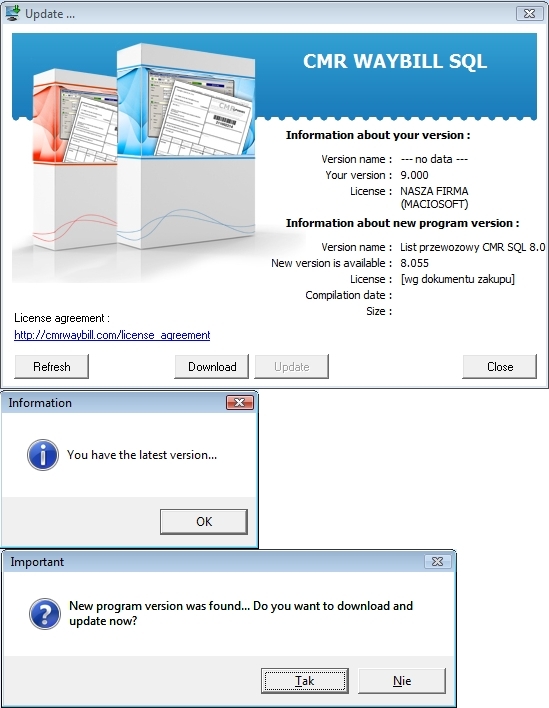 The program easily integrates with any third-party software. 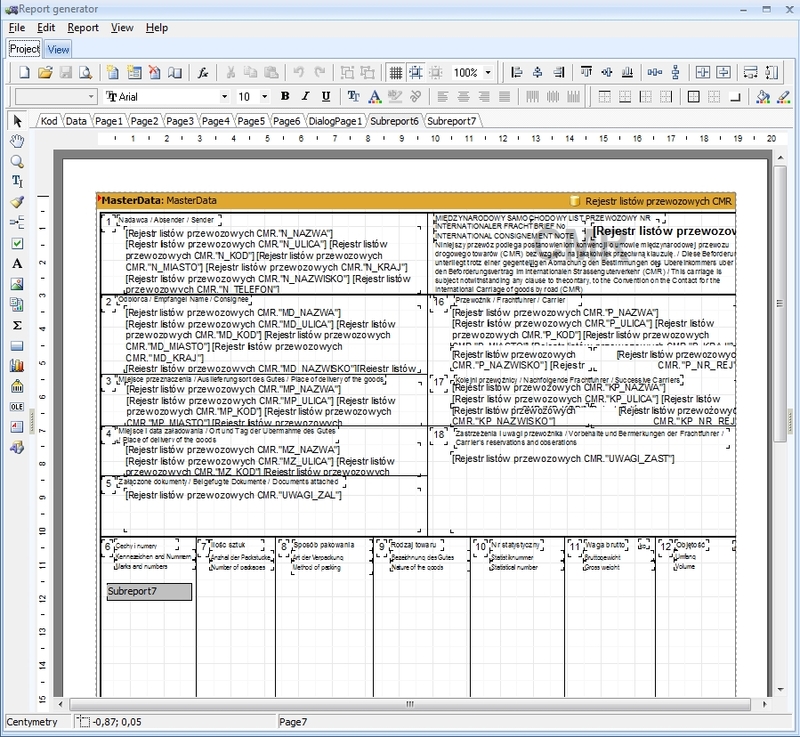 Reads from and writes to Excel, Access, XML, text files. 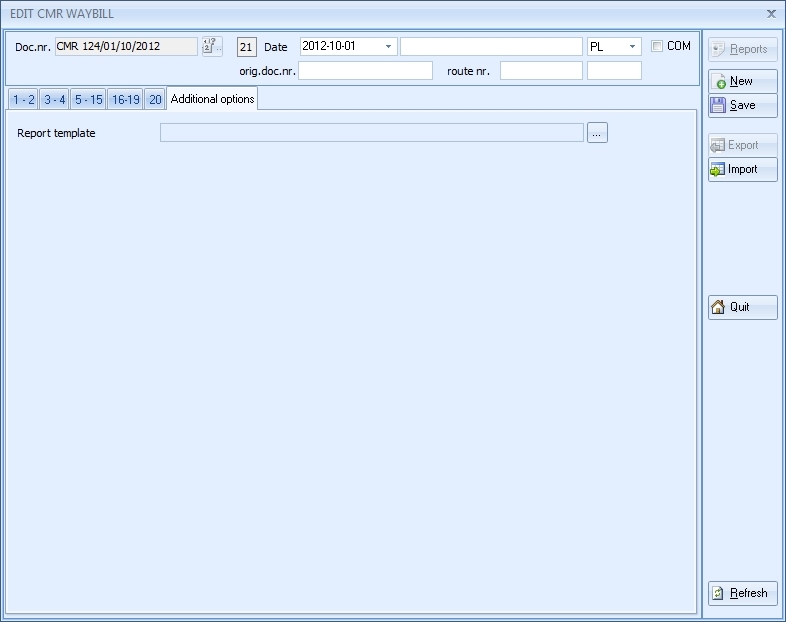 It can connect to any ODBC data source by configuring connection string and a query. 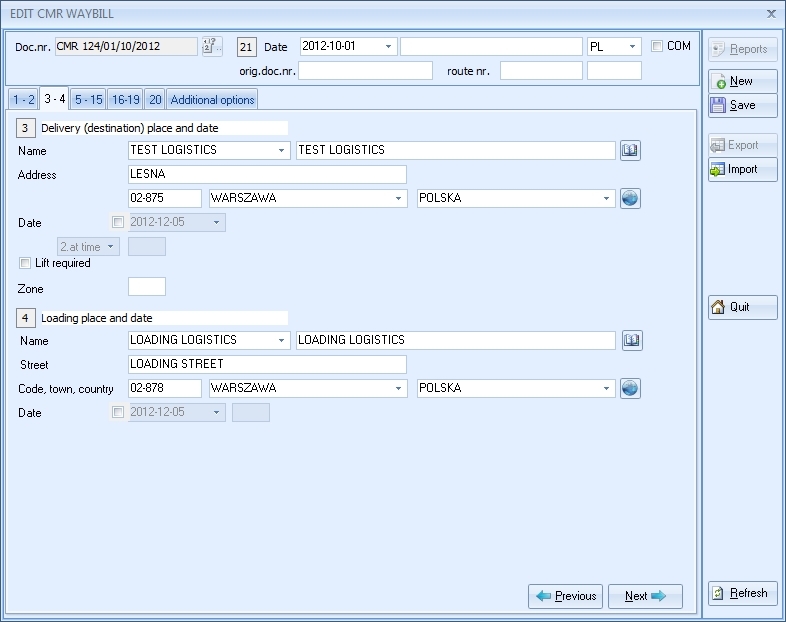 It is multilingual and localized in English, Slovenian and Polish. Printouts can have headers and body in any language (currently: Polish, German, Russian, English, French, Hungarian, Slovenian, Czech or any combination). 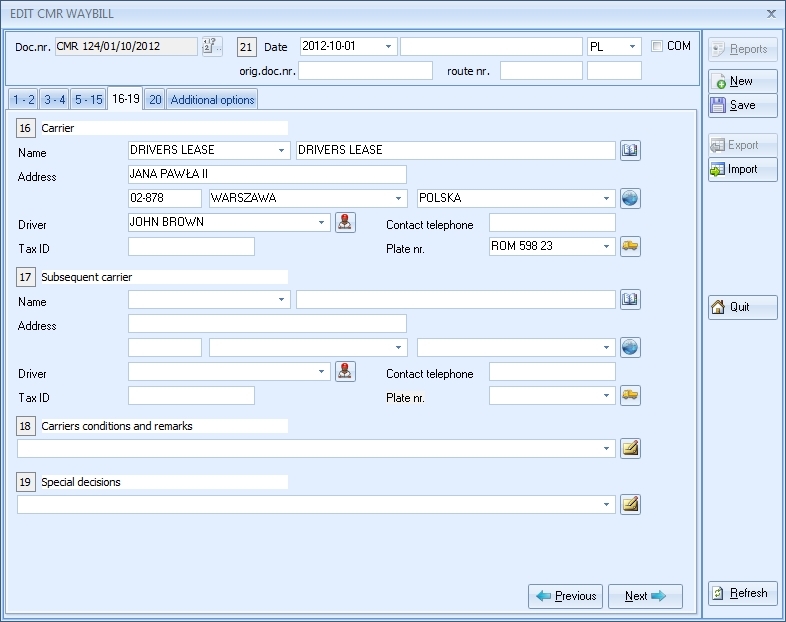 Printouts can also be modified to meet specific user's needs. 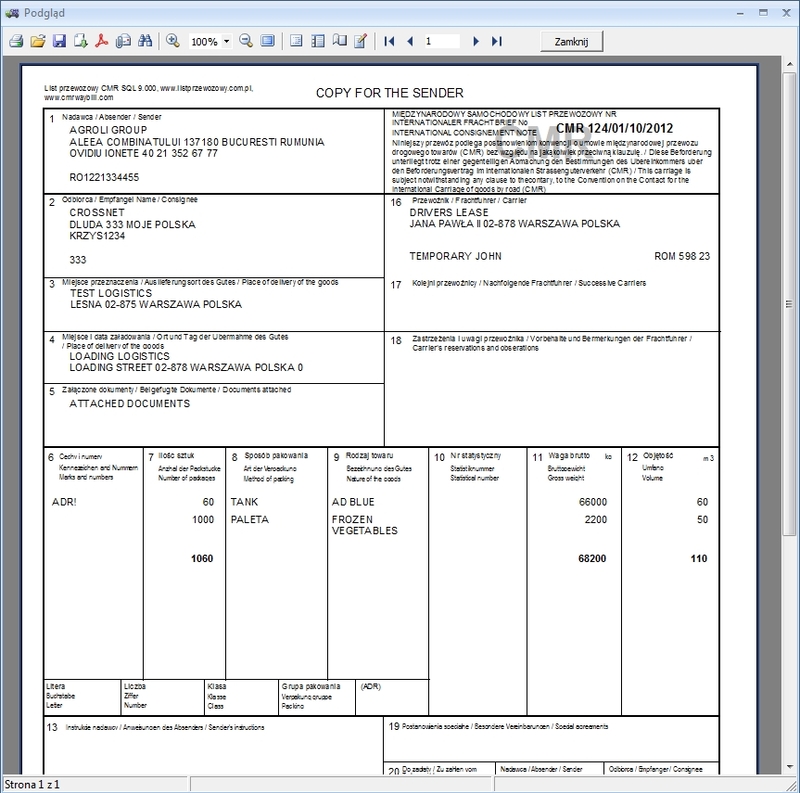 We can change font, design, number of possible products on each copy, put company's logo and much more! 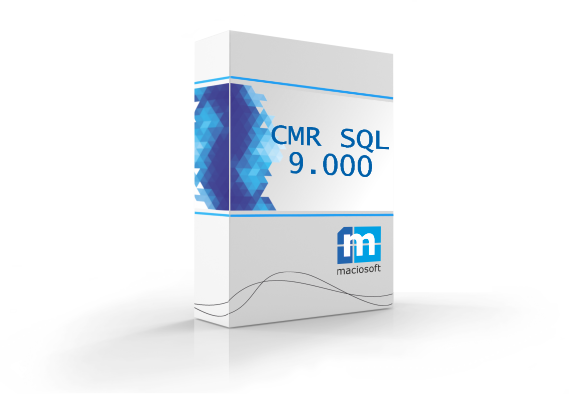 We have recently added a new module to CMR SQL 9.000. 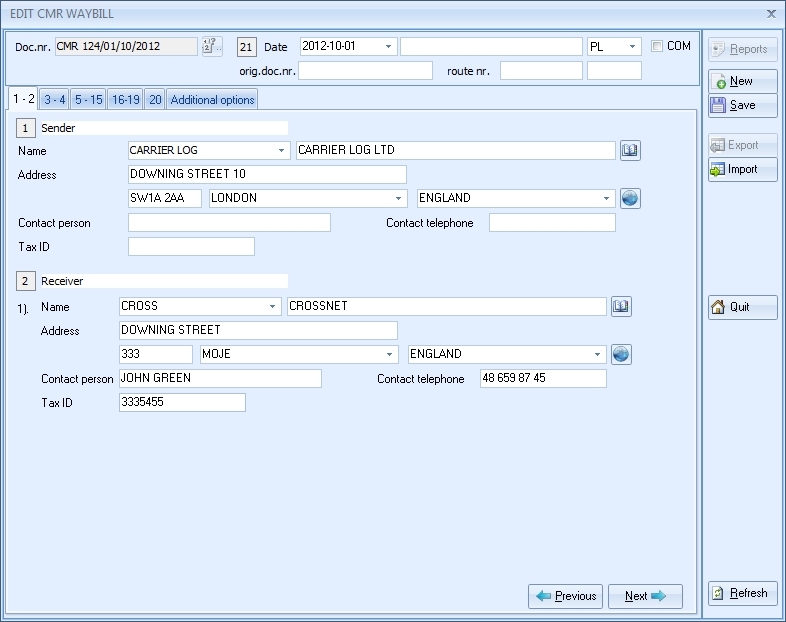 Now you can issue House/Master Bill of Lading (HBL, MBL)documents from our software. 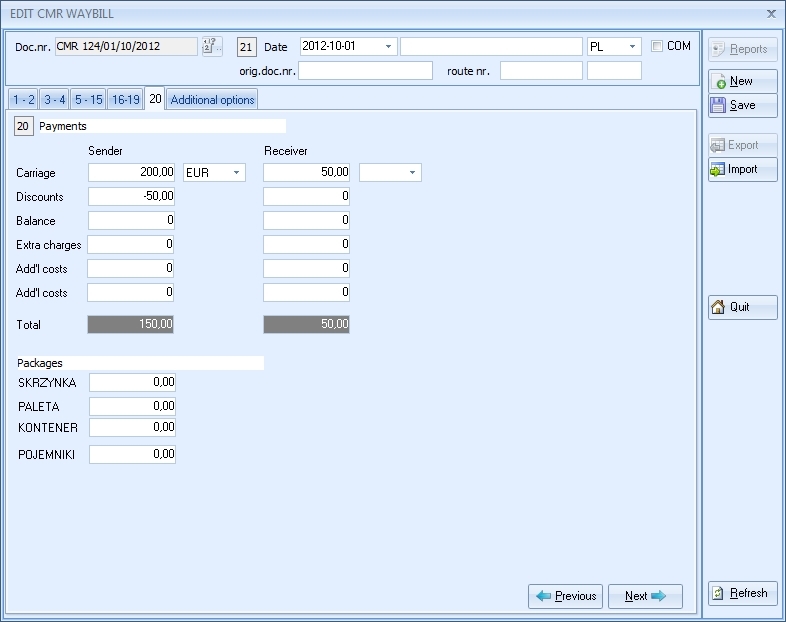 You can buy this module as stand alone software or together with CMR version.